This group will be the focal point of your room! Classic Design, Durability, Beautiful soft Leather and Hard wood frames! Yes, you get it all in this NEW Collection by Corinthian Furniture! This group also features Base ball stitching, nail head accents and quick release recliner mechanisms! 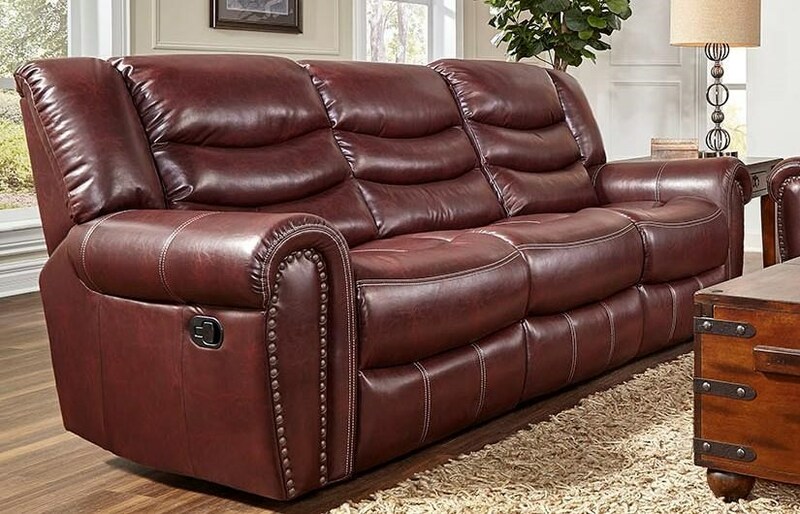 The L655 Leather Reclining Sofa by Corinthian at Furniture Fair - North Carolina in the Jacksonville, Greenville, Goldsboro, New Bern, Rocky Mount, Wilmington NC area. Product availability may vary. Contact us for the most current availability on this product. This group will be the focal point of your room! Classic Design, Durability, 100% Beautiful Soft Leather with Hard wood frames! The L655 collection is a great option if you are looking for Transitional furniture in the Jacksonville, Greenville, Goldsboro, New Bern, Rocky Mount, Wilmington NC area. Browse other items in the L655 collection from Furniture Fair - North Carolina in the Jacksonville, Greenville, Goldsboro, New Bern, Rocky Mount, Wilmington NC area.